Britons spent some £7.8 billion on gadgets in the year to April 2007, new research shows. 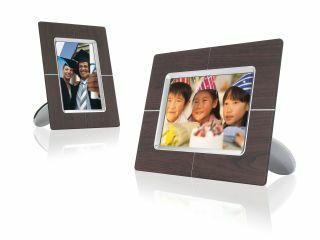 And this year's must-have gadget is not the Apple iPhone , or the latest high-def TVs but digital photo frames. The average British household spent £311 on consumer electronics, according to research firm GfK . Londoners are even bigger spenders, spending a collective £2.2 billion, or £431 per household. Those in the South West of England spent the least, at just £245 per household. The average spend on consumer gadgets was up by 10.6 per cent on the previous year. "This data demonstrates that London is the powerhouse for consumer electronics purchasing, with consumers visiting London to purchase high ticket items and a boost being received from the tourist trade," said John Binks, commercial director at GfK. GfK also predicted that the digital photo frame, which displays images directly from a digital camera memory card, will be the top seller this year. Sales increased from 3,000 in May 2006 to 50,000 in May 2007. Major drops in prices for digital photo frames - from an average £124 in November 2006 to £76 in May this year - is quoted as the biggest driver for the sales hike. The most popular choice is a 7-inch frame costing just £34. "With the digital image industry booming, summer holidays and wedding season approaching, sales of digital photo frames are expected to grow even further," said Sandra Bayly, account manager at GfK. "We predict sales will reach between 30-50,000 per month during the summer, before a massive boom in October with the start of Christmas shopping."